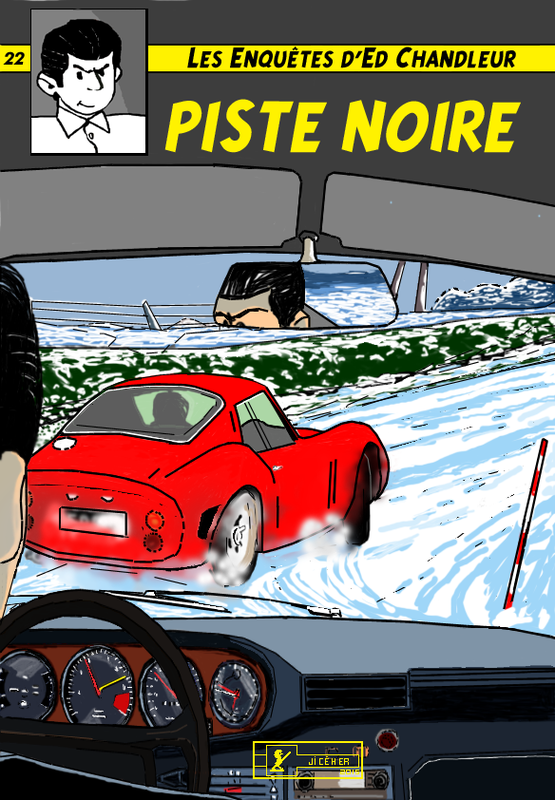 Ferrari 250 GTO in "Black slope" Drawn on computer. On entering the cottage I heard two shots, then a guy got on me stagger before collapsing at my feet. I fell to him, what saved me, because two other explosions were heard and felt the wind of the ball. I found myself nose to the ground to two centimeters from the eyes of the man she had just shot, and stared at me. The silence was broken by a cavalcade of noise on the outside stairs, I ran out and I had time to see her step into his car and then shoot off, raising a flurry of snow on the track of the valley. I ran to my car, I had to catch up quickly because once on the open road, I could not keep such a fireball, I saw the sign indicating the national road eight kilometers, I crushed the accelerator, eight kilometers slope, black slope.